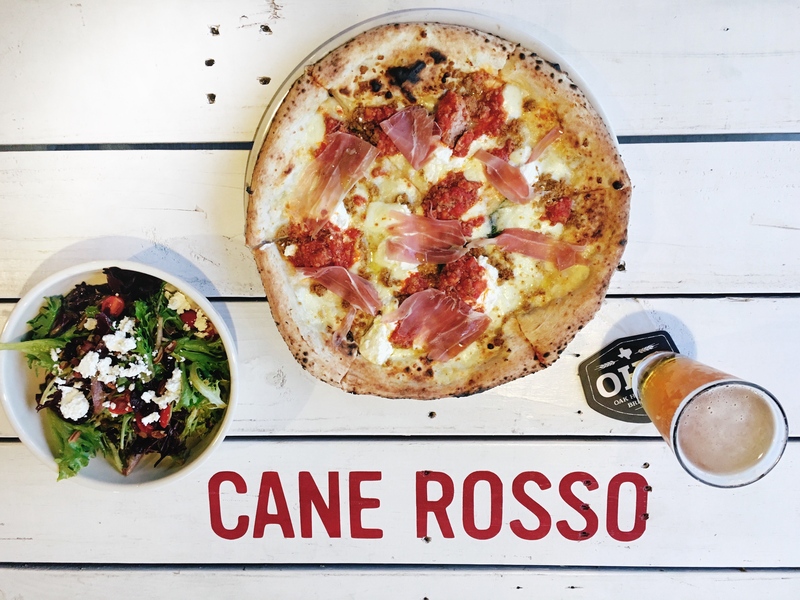 Occupying an old bike shop in historic downtown Carrollton, this funky, dog friendly pizza spot serves DFW’s most authentic Neapolitan pizza. True to the Italian style, Cane Rosso cooks the pizza for 70-90 seconds at 900 degrees in a wood-fired oven, which gives each slice the perfect “tip sag.” We weren’t sure what that meant either, but according to the menu, “it’s the hot, wet, gooey center of the pie that will make the tip of your pizza… sag.” It’s a good thing, trust us. Using the highest quality ingredients, their dough is made in-house daily, along with their sauce and freshly pulled mozzarella cheese. 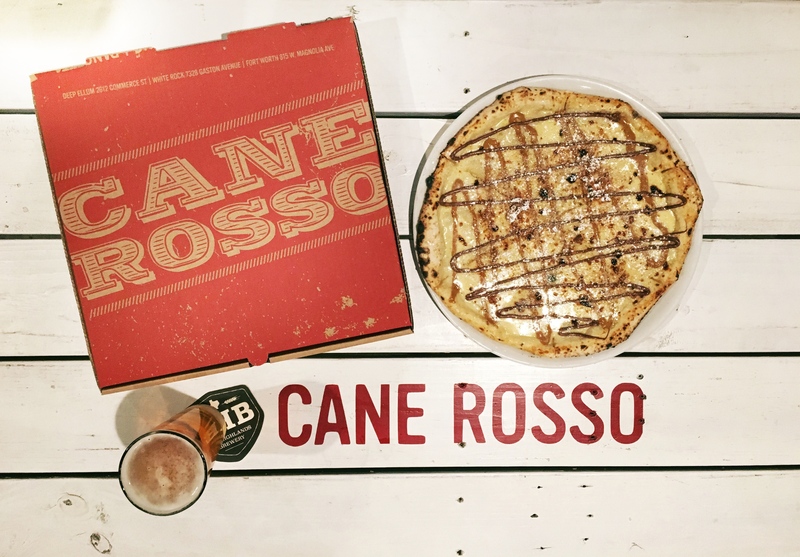 Aside from pizza, Cane Rosso also serves up some scrumptious salads and desserts. Staffed by cheerful and welcoming bartenders, managers, waitstaff, and chefs, it’s no wonder this place is such a hit. Here’s what we recommend for a salad and pizza: Paired with OHB Golden Mustache, we recommend the Capra salad (field greens, crispy pancetta, dried cherries, toasted pecans, grape tomatoes, goat cheese, balsamic), and The Betty pizza, which is only available at the Carrollton location (local sausage, prosciutto crudo, fresh mozzarella, ricotta & a swirl of bolognese sauce). Here’s what we recommend for dessert: Paired with OHB Golden Mustache, we HIGHLY recommend the off-the-menu Ladybird dessert pie. It will most likely be the best dessert you’ve ever eaten. (Vanilla bean mascarpone, cookie butter, Nutella, crushed Speculoos cookies, powdered sugar).